The environment consists of your surroundings and every individual living in this world. Even your own self is part of the environment. It’s beautiful how every morning the sun rises and touches our flesh, how the colors of leaves are fresh green during spring and summer and changes to a vibrant red and orange during autumn and slowly falls as we get closer to winter. It is a completely stunning view as the snow descends from the sky and when it reaches the ground, it’s as if you’re surrounded by marshmallows–freezing marshmallows. I love the country side and I love the city. Have you ever walked around downtown? I love all the city lights and buildings and how people always seem like they’re in a rush. The environment is everywhere around you and it is important to show respect to the environment for we live in it. There are so many ways we can protect Mother Nature and maintain it’s beauty–be creative! 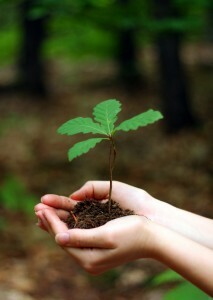 * Plant trees to prevent flash floods and also, to maintain the fresh air. * Separate the non-biodegradable and the biodegradable trash. * Prevent burning to prevent air pollution. * Turn off the lights in your house if it is not needed. Save electricity, save money! * Christmas time? Use recycled wrapping paper.